The largest city in Scotland, Glasgow is located on the River Clyde in the country’s West Central Lowlands. The population of Greater Glasgow has risen above 1.2 million, meaning that there is certainly a demand for property in the area. At My Home Move Conveyancing we have been developing our knowledge of the local market since 2002, enabling us to deliver a quality conveyancing service to those in the Glasgow area. If you are thinking of buying or selling property in Glasgow, you’ll need to instruct a lawyer to carry out the legal work on your behalf. 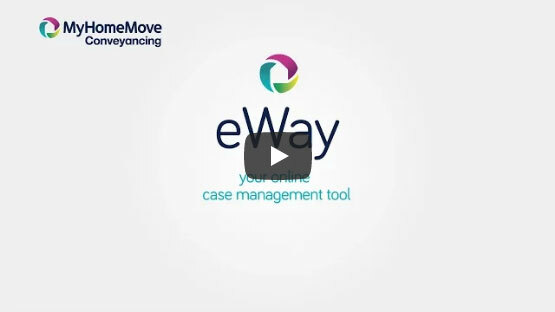 My Home Move Conveyancing offer award winning customer service, and innovative use of technology as well as intimate knowledge and expertise of the local market. Our fixed fee conveyancing service includes no hidden extra costs, meaning that you’ll know exactly how much you’ll be paying from the outset. If you don’t end up moving, you won’t need to pay us anything. All of our clients are assigned a dedicated conveyancer, who will act on your behalf throughout your case, providing you with a consistent point of contact and regular updates of the progress. At My Home Move Conveyancing we have provided legal assistance to customers across Glasgow, from the West End’s residential areas such as Dowanhill and Hillhead to South Side hotspots including Giffnock and Whitecraigs. The average house price in Glasgow is £140,426. However, during the last year the average sale price was almost £15,000 more than this, up 4% on the year before but still down some 42% on 2006 when the average was just under £270,000. Glasgow is the UK’s third largest city, growing from its origins as a small rural settlement to become Britain’s largest seaport. It became a focal point for trade with North America and the West Indies in the 18th century, and was also prominent during the Scottish Enlightenment around the same time. A culturally rich city, Glasgow is renowned for its strong music scene and an array of festivals throughout the year. The city is well connected when it comes to transport, offering an international airport and comprehensive bus and train networks. The M8 motorway passes through the city centre and heads east towards Edinburgh, also linking the M73, M74 south towards Carlisle, M77 towards Kilmarnock and the M80 north towards Falkirk. There are four universities within touching distance of the city centre, including one of the English-speaking world’s oldest, the University of Glasgow. Families with younger children might wish to consider the Jordanhill School, Glasgow Gaelic School, or Hutcheson’s Grammar School and the High School of Glasgow, both of which have long histories. All properties in Glasgow will fall within one of the following council tax bands.